Growing up in a small town in Maryland, there was a lack of things to do. Sure, I could go ride my bike or play with my Barbie doll and I surely did those things but I was an “indoor kid” that needed culture and brain stimulation. I had a thirst for excitement and being five, you know, looking to level up is hard to do in a town of 15,000. (I’m being generous on that number.) Having parents that were always busy, I grew bored easily, and was always getting into something. We had a television but we didn’t have cable and I was really only allowed to watch cartoons in the morning. Then my dad got this thing called a CD player. The thing was already popular in places like Godzilla’s hometown in Japan as well as big cities like New York, Los Angeles and Harrisburg, Pennsylvania. It blew my mind. I didn’t know much about music because I was, you know, a kid but I thought this was so great. I could skip to my favorite track on a record without having to fast forward? Magic. I could fix my hair in its reflection? Pure magic. The first CD my dad ever got was Diamond Life by Sade. I think he paid twenty-five dollars for it. That was more money than my birthday cake! It came in a long skinny cardboard box that you had to treat like a jewel box. I never understood why and I still don’t. My dad was very serious about treating the case with TLC because it was very expensive. You didn’t just go out and buy another if it broke. You break your CD or the case and it’s bye-bye for that private experience; you’d have to settle for listening to your favorite songs on tape or, God forbid, radio. This particular cover compelled me. Here was an exotic goddess with a come hither stare and perfectly manicured nails reaching out to me and inviting me on an adventure. I’d never seen anything like her. I was captivated. Sade was going to take me on a journey and I’d somehow secured a VIP ticket. Like most CD players, ours was located in our living room and had two big speakers. My dad was in charge. I wasn’t allowed to turn on the CD player by myself but I could listen unsupervised as long as I didn’t touch anything. The CD player was supposed to be reserved for special occasions but me, my mom, my dad, and my brother would also sit around listening to it on Sundays. It was an event. My Sundays consisted of going to church, having dinner, and then listening to the CD player in the living room. After we would listen to CDs we would watch Dallas and then off to bed. Busy day for a kid, right? I’m tired just thinking about it but Sundays were lit. Naturally, my dad brought home several CDs over the next few years. Standouts among them were The Back to the Future soundtrack, The Woman in Red soundtrack, the Stand by Me soundtrack, the Dirty Dancing soundtrack and one by the celebrated Huey Louis and The News (not a soundtrack). Choice. Very choice. I’m just realizing as I write this, that my dad had a big thing for soundtracks. I was really obsessed with the CD player. I would think about it at school. I would stay home on weekends and listen to the CD player. My mom was slightly worried because I wasn’t really interested in other kids but I don’t think she did anything about it since I was staying out of everyone’s hair. No big deal. Around the age of 7, my dad let me play it on my own. I was even allowed to change the CDs! That contends for the best day ever. I would sit in front of the speaker which had a spongy cover that you could actually take off. How I wished I could sit inside! I wanted that CD player to take me somewhere else so bad. I would read the dust jacket of Whitney Houston’s debut CD — really taking in “Saving All My Love for You,” thinking I want to fall in love with somebody, and feeling like she was telling me how it’s going to be when I grew up. Newsflash! “Saving All My Love…” was a cover about her sleeping with a married man, but I digress. If I were alone, I would dance till I’d fall over to Carly Simon’s “Dirty Girl” which is my mom’s favorite to this day. Every woman loves Carly Simon. Every woman. Some just don’t know it yet. Years passed and technology starting advancing by light years. My dad decided to upgrade the CD player in the living room to one that held multiple CDs. Mind blown. Because he knew my affinity for the old one, dad let me put the old player in my room. Paydirt. Now I could be alone with my favorite tunes! I discovered Pearl Jam, NIN and my favorites Green Day and Smashing Pumpkins. I had a crush on a kid in algebra class and I listened to “Two Princes” on repeat as I wrote his name in hearts in my Trapper Keeper. Good times. 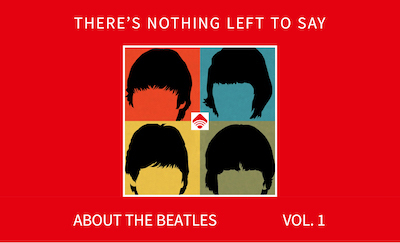 The last day before I went to college, I was listening to The Beatles and my CD player just up and died. I couldn’t believe it. We had been through so much. It was my last day in Maryland and it died. My parents put it in the attic for some reason and I think it’s still there today. I should give it a hug next time I’m home. I bet it misses me too. 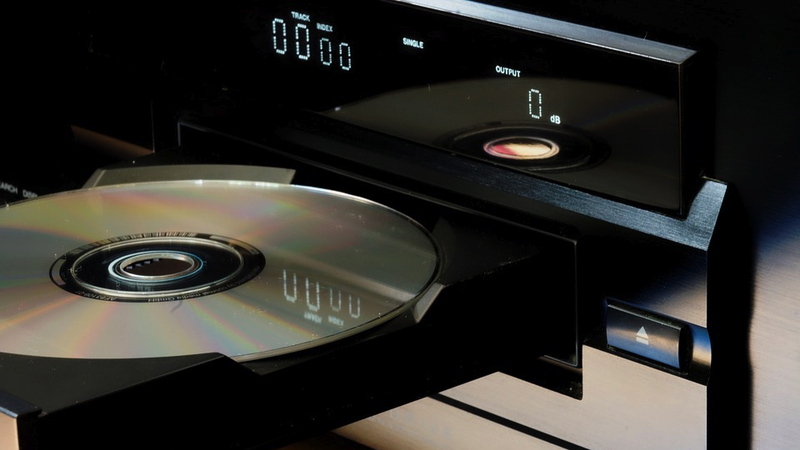 Photo Credit: Image of CD player courtesy of Pixabay. Nikki Wantz is a writer who has written for NYLON, IFC and had a weekly column for LA2DAY called Nikki@nite. She has a podcast called, "There's Something Wrong With Me" available on Itunes and has had screenplays optioned by several studios including Sobini Films. She likes wearing stilettos and sweatpants, a cold Arnold Palmer and a friendly game of Scrabble. She lives in Los Angeles.